This summer, Raimes Vineyard near Alresford is tempting visitors with tours of their vineyard. Located in the beautiful South Downs, the tours are an opportunity to glimpse life on their family farm whilst discovering more about the wines. The tours will take place on the 2nd June, 7th July, 4th August and 8th September at 3pm. Costing just £10 per person, the experience will include a gentle stroll through the vines and a chance to sample their award-winning vintage releases in the charming wine tasting barn on the historic Tichborne Estate. The tour groups will be kept to just ten people and there is also an opportunity to book private tours priced from £60. "We are really looking forward to sharing our love of wine and talking about what we do here to produce Raimes" explains Gussie Raimes, owner of Raimes Vineyard. "Hampshire is now a key player in the wine making industry and we really encourage people to tap into it and explore the award-winning wines being made in our county." 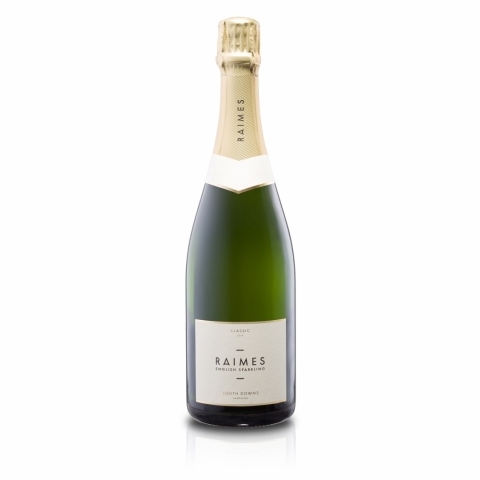 Raimes will also be joining other vineyards in Hampshire to open its cellar doors on the first Friday of every month between 11am and 3pm. This will be an opportunity to taste the wines and find out more about Hampshire sparkling wine.